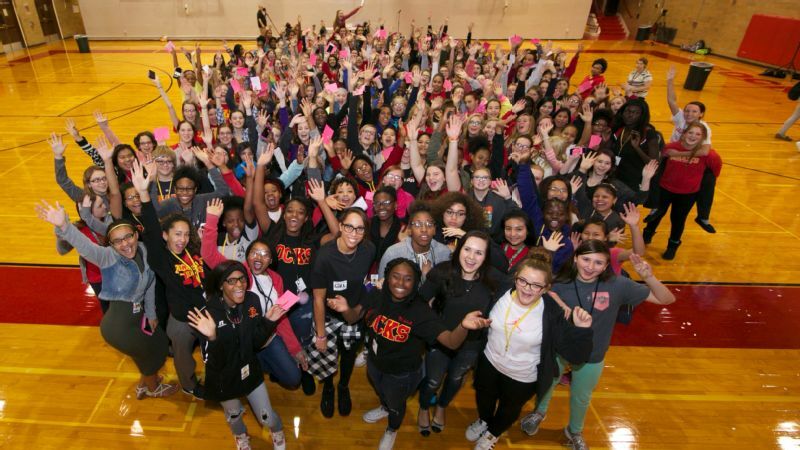 Madison Keys hosted an anti-cyberbullying summit for high school girls in Rock Island, Illinois. Last week, Madison Keys opened up a four-hour summit to empower young women by disparaging the hateful comments that litter her social media accounts. A slideshow played behind her with screenshots of the derogatory remarks on Instagram. "It's definitely not like celebrity mean tweets, reading and laughing about it," she said, referencing the popular "Jimmy Kimmel Live!" sketch in front of an auditorium of more than 300 high school-aged girls in Rock Island, Illinois. Keys sat on stage wearing black thick-rimmed glasses, black jeans and a purple cast on her left arm ("It's just overuse ... it's coming off in a week," she said later). On stage, she quipped about when her friends have needed to take her phone away in impulsive moments on Twitter -- an easy reminder that Keys herself was high-school aged only three years ago. But while her Rock Island peers were tossing their caps at graduation, Keys was in a three-set grind against Agnieszka Radwanska at Wimbledon. As she pilots a discussion for young women at the school where her younger sisters, Montana and Hunter, attend, 21-year-old Keys is the eighth best women's tennis player in the world and the youngest player in the top 25. Less ostensibly, Keys is also now the youngest tennis player to kick-start a global, in-person, continuous initiative off the court. Her goal is to, through summits, embolden young women to have more candid conversations about the social (and digital) complexities they encounter. Such dialogue is only bolstered by Keys' youthfulness and her singular potential to grow in solidarity with the young voices she seeks to inspire. Earlier this season, Keys announced her partnership with FearlesslyGirl, a women's empowerment organization run by Kate Whitfield, an author and speaker who has advised on youth and education issues for Canadian Prime Minister Justin Trudeau. Whitfield conducts regular workshops for women at schools across the U.S. and Canada. The summit in Rock Island marked the start of a Keys ambassadorship for the organization, launching a string of summits in 2017 and helping to expand the organization beyond North America. The slideshow ticked past the cringe-worthy Instagram screenshots, and Keys adopted her more regular, playful tone. She teased an "embarrassing" video on the jumbo screen. It was an ESPN clip from early 2015 -- far more motivating than withering -- that detailed her introduction to tennis. In it, a 20-year-old Keys said, "I'd love to make the year-end championships. I'd love to be top 10." That goal has come and gone: Keys made her first WTA Finals in October and debuted in the top 10 back in June. She was the first American woman to do that since Serena Williams in 1999. And she's coming off a career-best (if toll-taking) season: 64 total matches, she ranked fourth for most match wins with 47; 23 three-setters, of which she won 17; and 24 tiebreak sets played, of which she won 14. Her charge through the tour, January through October without pause, included a fourth-round appearance at every Grand Slam, a title in Birmingham, a final on every surface, and a semifinal at the Olympics. A keystone throughout the year has been her maturity and poise in high-pressure matches. Now she's ecstatic about engaging with something that has little to do with her groundstrokes. "I think if we can show that it happens, maybe we can start taking bigger and better steps to maybe not ending it but making it less prominent," Madison Keys says of online harassment. As one of the brightest stars in the sport, and a true celebrity in Rock Island, Keys held the mic and spoke without a note of pretension. She's a Midwesterner; genial, gracious, unassuming; the player on tour who posts a Disney Channel gif Twitter response to console a friend barraged with negative comments. She's jovial in post-match media conferences and a true wunderkind across the net with a champion's arsenal: big serve, powerful fitness and a rocket forehand. As the conversation shifted back to her social media accounts, Keys told the sea of nodding heads, "I click the notifications button twice so I don't read anything," sidestepping her life on the court to glimpse those personal moments after matches. "Sometimes it's too much." Top athletes such as Keys, Caroline Wozniacki and Nicole Gibbs have received death threats and a collection of terrible comments, some of which have been attributed to sullen bettors. In Beijing, after losing the semifinal 7-6, 4-6, 6-4 to Johanna Konta, users left comments on Keys' Instagram and Twitter with remarks such as "Cancer of tennis, "Loser," and "Empty brain." Other comments referenced her race, gender and appearance. "There are times, like when you lose in the semifinals of a premiere mandatory, and you tried as hard as you could -- you fought, you got to a third set -- and you walk off the court disappointed in yourself. To come off and immediately see that -- sometimes it's just not cool," Keys said after the summit. 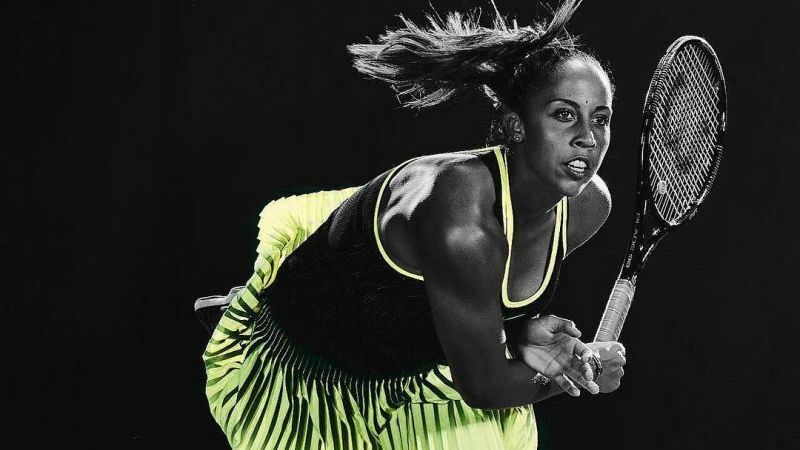 At a tournament in Linz, Austria, Keys took to Instagram to call out the abuse. "I think if we can show that it happens, maybe we can start taking bigger and better steps to maybe not ending it but making it less prominent," she said. "Talking to each other and opening up doesn't make you weak or vulnerable. It makes you even stronger a lot of the time." In breakout sessions following the large group discussion, the girls shared their own experiences with cyberbullying, low self-esteem and conflict. "The girls were opening up and talking about big things that they were coping with. Being able to sit back and watch that unfold, for them to feel connected to the other girls and feel safe enough to talk about these things, that was my favorite part," Keys said. Keys' plan to take FearlesslyGirl on the road in 2017 includes a subsequent summit, likely in Florida, once Keys returns from the Australian circuit and sets her sights on Indian Wells and Miami. Then she'll look internationally. "One of the bigger places I want to do [a summit] is in England. I'm there all the time, there during the school year, and I have a lot of younger fans." Invigorated by the work, Keys says it uniquely positions her to encourage, in a "big sister" role, an entire generation of young women -- many of whom already swarm her Twitter feed. In the same video that played at the start of the summit, Keys' mom, Christine, said, "It's tennis. You're not solving world hunger. Yeah, it matters because [she works her] tail off for it, but she appreciates it's a sport." Keys might argue that this isn't strictly true anymore. She loves the game still and sees it for what it is, but yearns to transcend it, finding herself in a new space now where honing a mission-driven voice and her professional craft are intertwined. Looking ahead to 2017, Keys is thinking, "OK,  was great, that was amazing. But I want to do that again, and I want to do more." This means major finals, deeper runs in the second week at Slams, and now, more impact off the court. Just last week, former tennis star and ESPN analyst Chris Evert said that she'd like to see a champion take form in 2017, someone with the hunger and consistency week in and week out who can tackle a slam, follow up in majors and charge deep into subsequent slams. "You have to have it inside you," Evert said. Keys might be that champion. Perhaps the steady approach we've seen from Keys thus far, supplemented by the groundswell of young support in tough moments off the court, will incite that brightest of tennis spotlights. But for now, look no further than the tagline across her social media accounts for a glimpse of the sensibility we can expect from Madison Keys: "Positive vibes only." An earlier version of this story misidentified one of Madison Keys' sisters as Sydney. Her name is Montana.